Eli and Mike's wedding was held at The One and Only Westmount Country Club (https://westmountcc.com/). For their cake, nothing less than the ultimate showstopper would do! 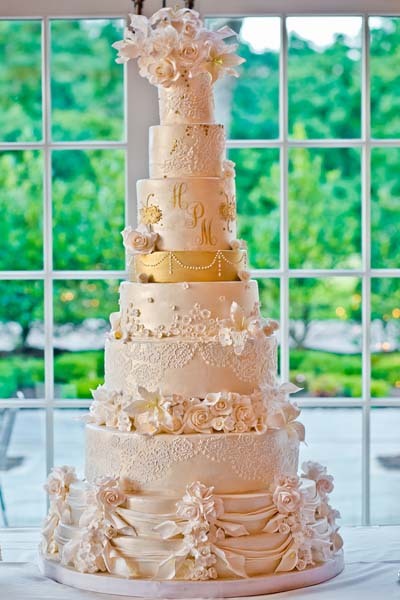 The planning process for a sophisticated wedding cake such as theirs isn't necessarily accomplished in one sitting. With so many ideas and a specific vision, Eli, Mike and I took our time to plan perfection. 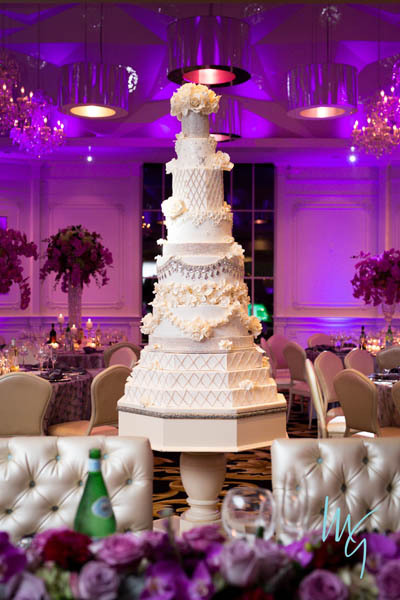 This cake is, by far, the tallest we ever created - to date. 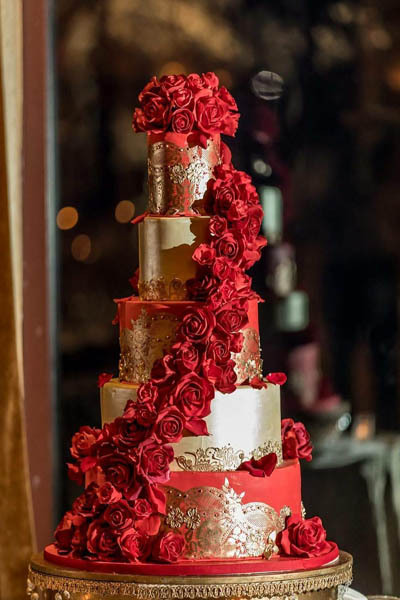 Standing at 5'2", their masterpiece featured around 400 sugar flowers, plus small blossoms, and a tasteful amount of rhinestones in various shapes to capture the light in the venue. With 4 different cake flavors to serve approximately 400 guests, Eli and Mike wanted nothing less than the quintessential experience for their guests. For more information on your ultimate showstopper, contact us here!